Thai food is some of my favorite. The flavors are powerful, dynamic, spicy. 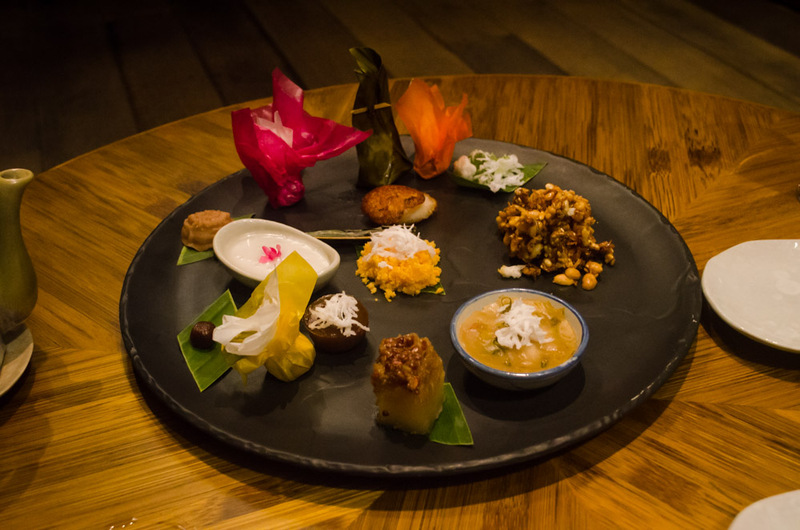 When we visited Thailand this past fall, we knew a large portion of our trip would be spent eating. In fact, we even booked dinner for the night of our arrival in Bangkok weeks before the trip. A friend and fellow foodie of ours was visiting Thailand around the same time and would be in Bangkok that day. 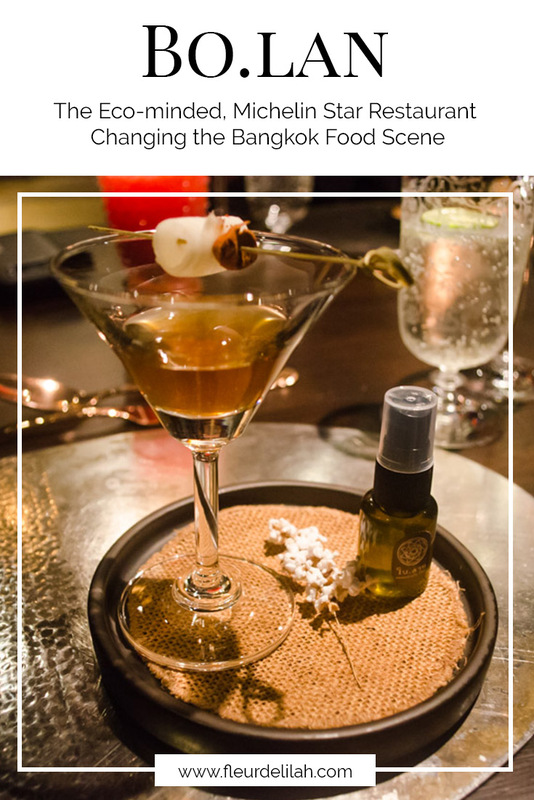 So, my husband researched and found Bo.lan restaurant, a Michelin star restaurant in Bangkok. And let me tell you, from now on, I will be visiting this restaurant every time we go to Bangkok. Bo.lan is a high-end Thai restaurant by power duo Duangporn “Bo” Songvisava and Dylan Jones. Opened in 2009, the Thai restaurant has quickly made a reputation for itself. Bo.lan has been featured in multiple publications, and in 2014, Bo was named one of Asia’s top 50 chefs. 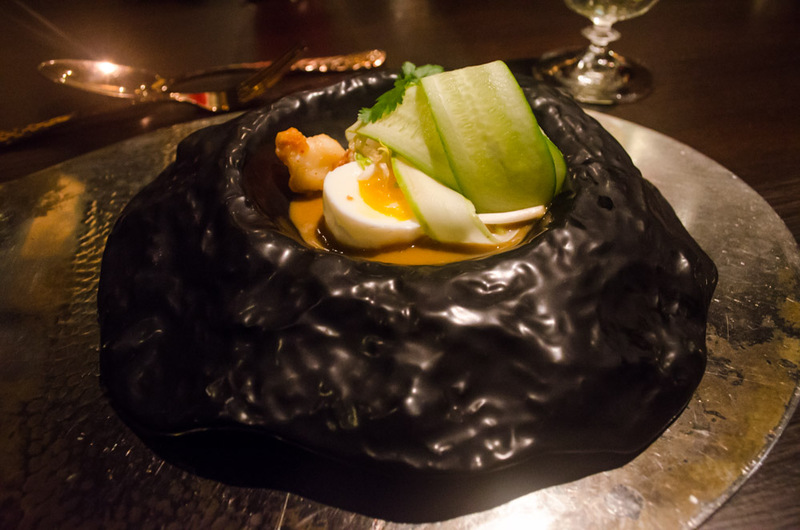 Just recently, the Michelin guide came to Bangkok for the first time, and Bo.lan was awarded one Michelin star. Set off the main road, you forget you are in the city. 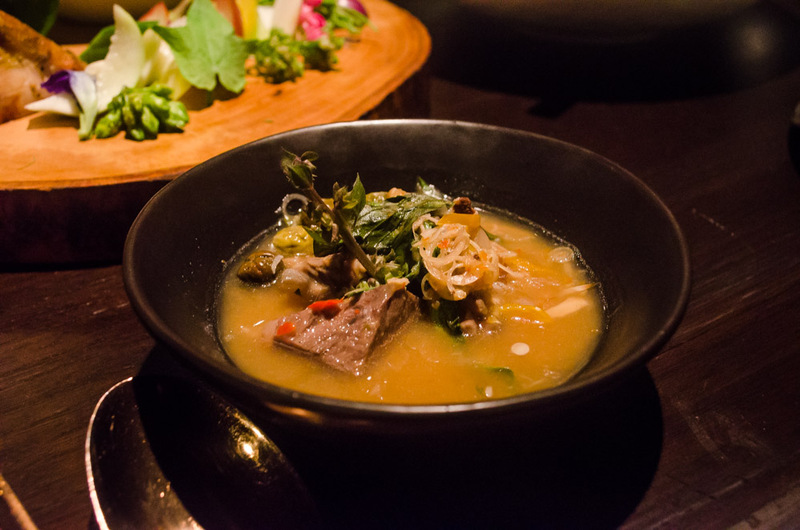 The Bangkok traffic is gone, and Bo.lan feels like a hidden gem. The exterior is beautiful; lights accent the flourishing plants and trees that surround a pond. 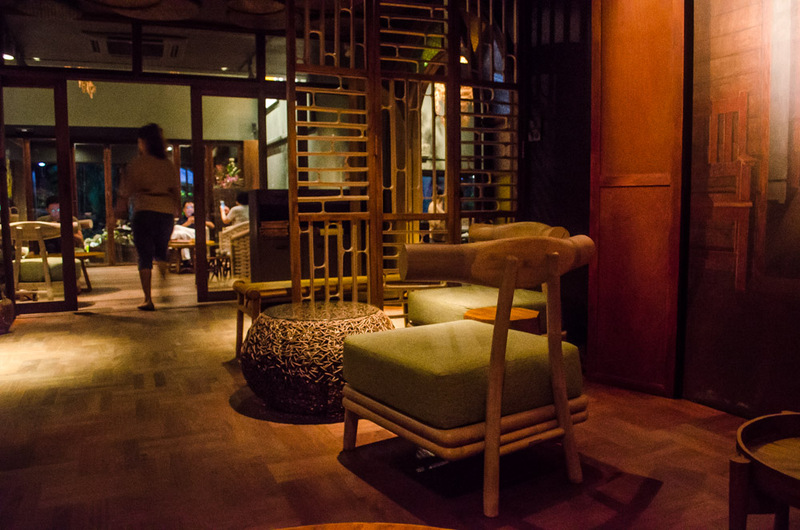 Inside, the decor is sophisticated while still emphasizing Thai design. 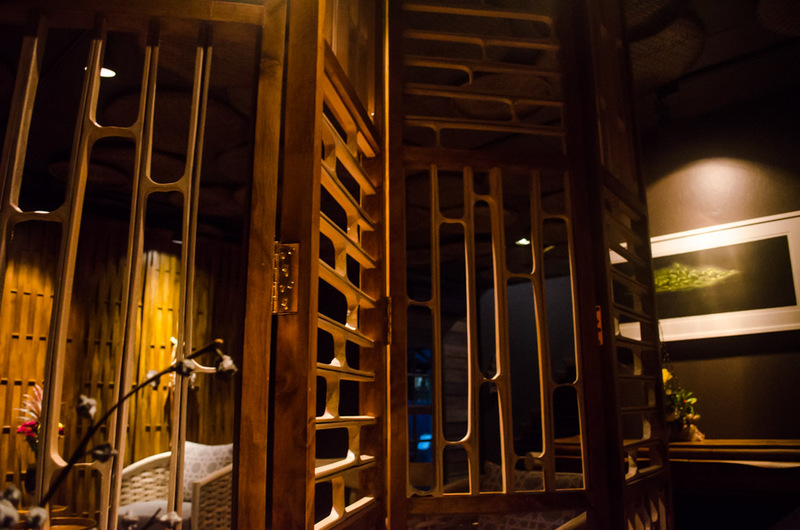 Natural wooden screens create intimate areas in the lounge, and natural woven seating gives that Southeast Asia ambiance. Most impressive, however, is what you don’t see; Owners Bo and Dylan are committed to having a zero-carbon-footprint restaurant. As such, they are making improvements on how they run their restaurant. They have done away with bottled water and installed a high-tech filtering system, switched over to LED lighting to conserve electricity, and installed a greywater system and a heat pump. Bo.lan avoids unnecessary packaging and recycles anything that does come into the restaurant. Not only that, any compostable waste is turned into fertilizer for the garden. Among all its eco and ethical initiatives, Bo.lan advocates for an “Eat Responsible Day”, or ERD. The idea is simple: eat responsibly and sustainably to have little impact on the environment. The restaurant models this belief with its efforts to have no carbon footprint as well as hosting workshops on food and environmental issues. Bo.lan also has an ERD Market, which sells organic produce, products by local artisans, and environmentally friendly and natural goods. 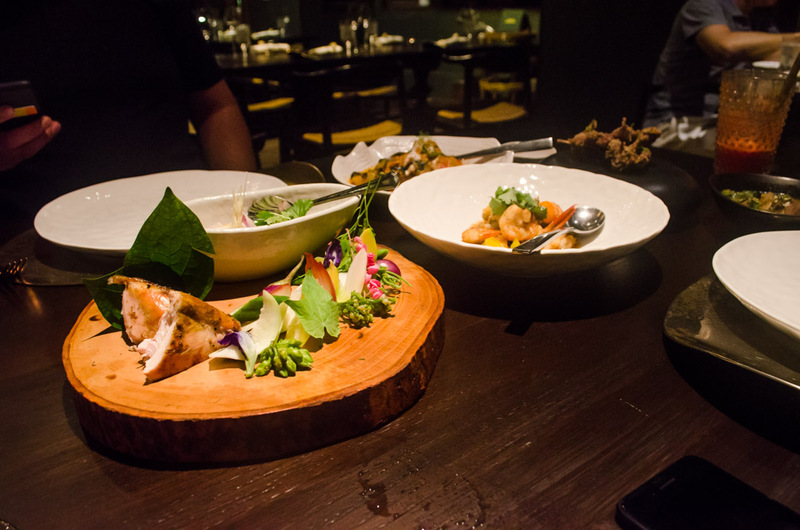 Bo.lan serves up authentic Thai food that is elevated for gourmet dining. And unlike some restaurants that may be more reserved with foreign diners, the chefs at Bo.lan don’t pull their punches. 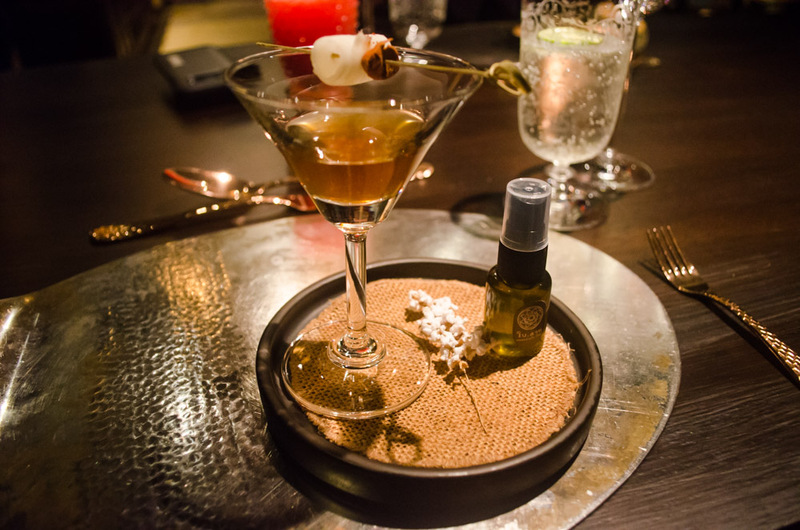 The flavors here are powerful, and they know it; while dining, the staff will ask how much you can tolerate spicy foods and will adjust the seasoning for you. 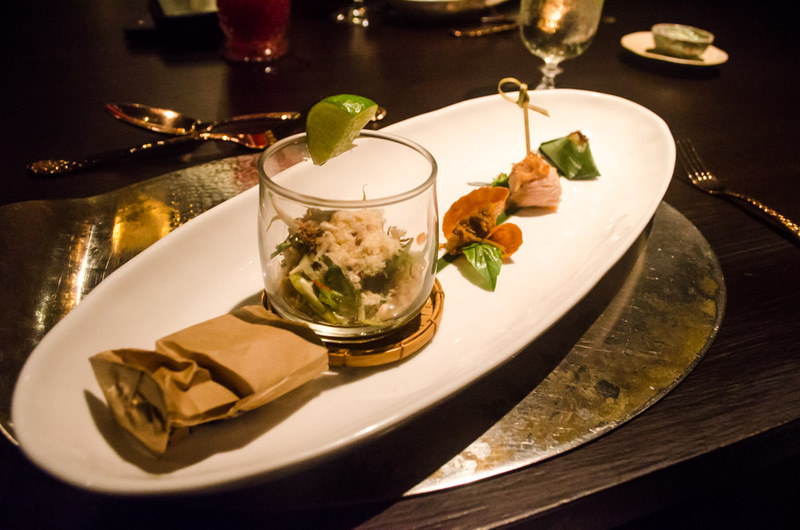 The menu is changed frequently to reflect what is in season. Bo.lan is open for lunch and dinner Tuesday through Sunday. The restaurant is closed on Mondays. No dress code is mentioned, however, smart casual is probably best.